Butterfield Group – Our heritage stretches back to 1858, when a merchant trading firm founded by the entrepreneurial Nathaniel T. Butterfield became The Bank of N. T. Butterfield. In 1904, Butterfield became a public company, incorporated as The Bank of N. T. Butterfield & Son Limited. Butterfield first established operations in the UK in 1965. In 2001 the London based Matheson Bank Limited was acquired and rebranded as Butterfield Private Bank. Our presence in London expanded through the acquisition of Leopold Joseph in 2004, a name which has been in the City of London since 1919. Today, we have offices in six jurisdictions: Bermuda, The Bahamas, the Cayman Islands, the UK, Guernsey and Switzerland. The Butterfield group offers a full range of community banking services in Bermuda and the Cayman Islands, encompassing retail and corporate banking and treasury activities. In the wealth management area, the group provides private banking, asset management and personal trust services from its headquarters in Bermuda and subsidiary offices in The Bahamas, the Cayman Islands, Guernsey, Switzerland and the United Kingdom. Butterfield also provides services to corporate and institutional clients from offices in Bermuda, The Bahamas, the Cayman Islands and Guernsey, which include asset management and corporate trust services. 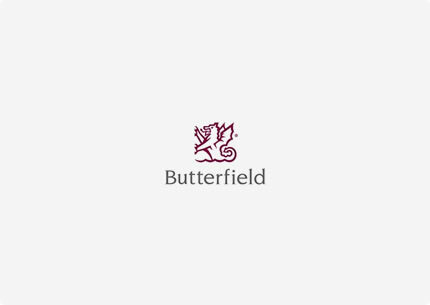 Butterfield is a publicly traded corporation with shares listed on the Bermuda Stock Exchange. Our share price is also available on Bloomberg Financial Markets (symbol: NTB). Reproduced with the permission of Butterfield Group. Copyright Butterfield Group. All rights reserved.